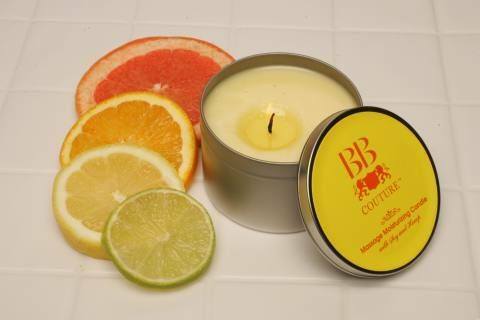 BB Couture's new organic moisturizing oil candle melts into a moisturizing lotion that can be applied to the skin. The warm lotion leaves skin feeling smooth and the soy and hemp extracts help promote healing and rejuvenation in the epidermis. For more information, visit BB Couture.